New Delhi, April 3: The vacant seat of Indian national football team coach has attracted more than 200 applications. While many of the aspirants have considerable managerial experience, the biggest name among them, according to All India Football Federation (AIFF) sources, could be that of Raymond Domenech, who coached France to the memorable 2006 World Cup final. "We have received applications from some top European coaches. Raymond Domenech is among them," said an AIFF official. However, it could not be confirmed whether the application came from the 67-year-old himself or through his agent. 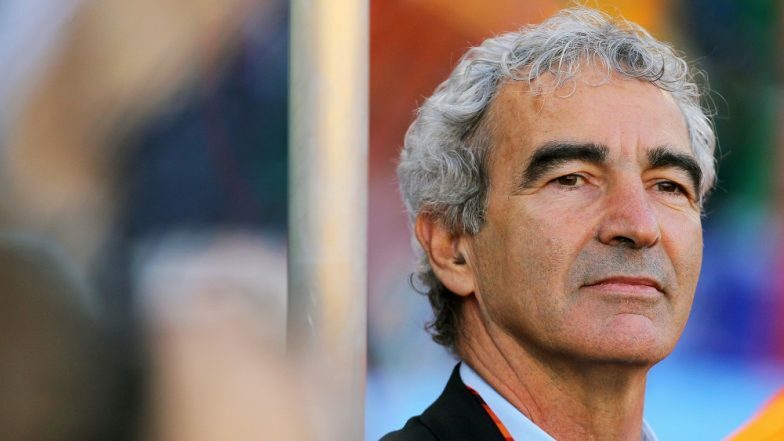 While Domenech is one of Europe's best known coaches for his success with the French national team in 2006, he has also remained involved in controversies. In the 2010 World Cup in South Africa, his decision to dismiss Nicolas Anelka from the team led to a volatile situation with the entire squad refusing to train under Domenech. Infamous for having the knack of saying the wrong thing at exactly the wrong time, he was sacked by the French football federation immediately after the 2010 World Cup. Indian Football Team Surviving Without Coach Post Stephen Constantine Quitting. An AIFF official said the process of selecting the successor to Stephen Constantine, whose three-year term ended with the Asian Cup final rounds in January, should be completed by the end of this month since the Indian national team is set to play a series of matches thereafter. "Our idea is to first shortlist the candidates according to their credentials. Priority could be given to those who are having UEFA licenses. Previous experience of coaching national teams, especially who remained among the top 75 in FIFA rankings, would also help," the official said. There are reports that former Bengaluru FC coach Albert Roca could be among the frontrunners for the job as some senior footballers in the national teams favour his appointment. At the same time, some officials in the federation are not sure whether a coach with limited national team experience would be suitable for the India job. Roca had coached El Salvador for around two years from 2014 to 2016 before joining Bengaluru FC. Roca is not the only coach from an Indian Super League (ISL) franchise to show interest for the top India job. Even before the AIFF could officially advertise, Spanish Antonio Habas and Venezuelan Cesar Farias sent in their applications through their agents. While Habas remained the coach of ATK (then Atletico Kolkata) and FC Pune City, Farias, a former Venezuela national coach, managed NorthEast United FC.